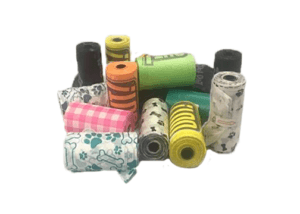 Some dog products serve just one purpose, but this isn’t your mother’s pet collar and leash set! Not only is it sturdy, durable and comfortable; it doubles as a handle and shoulder strap for your “My Pet Pail” then back again in a snap. Woah, that’s convenient. 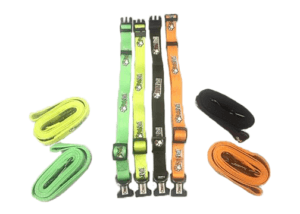 Be your pets hero with a slick and stylish mint green or black collar and leash set. 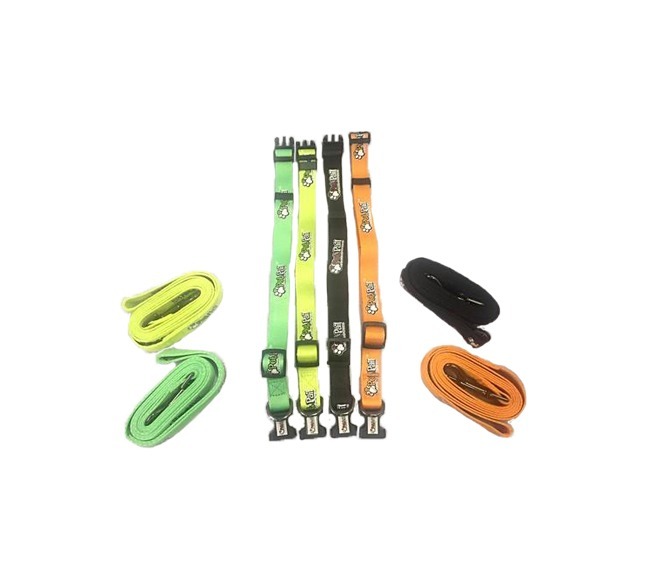 This is a 2 piece adjustable collar and leash set. 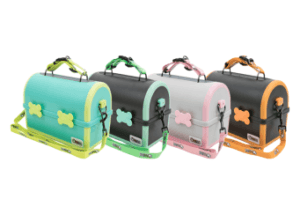 It will fit most small, medium and large breeds of dogs. Offered in 2 fun colors to choose from, black or mint green (more colors on the way). 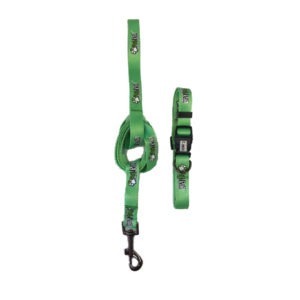 Leash is 5 feet long, 1 inch wide. These are well made and I bought a few sets so I have them in the car and RV. I love the colors too. Will buy more as I tend to lose things in my old age. Love these collars and leashes, bought on a Friday, had it by Monday. That’s fast shipping. Great! Would buy again, now everything matches my pet pail.